Do you want to spend a night away from home, leave all your stress and worries behind and indulge in beautiful countryside and welcoming village life? Step forward Yorkshire. We spent 2 days away and came home feeling thoroughly refreshed. The people are friendly, the food is excellent and there is enough to see and do ensuring you leave feeling relaxed and not exhausted. Yorkshire Sculpture Park is an open air gallery set in the 500 acre Bretton Estate. Situated a mile away from J38 of the M1, it’s a great place to stop off on route if you are heading from the south. The wonderful thing about the YSP is that there is no entrance fee, only parking needs to be paid for. We opted for all day parking which cost £8 and were so glad we did as we spent 5 hours taking in the sculptures and exploring the estate. We felt like we were back at Hawkstone Park or CentralPark in New York (finding something new around each corner). We arrived at midday, prefect timing for one of the many delicious lunch options served in the YSP Restaurant. We would recommend allowing 4 hours to visit most of the sculptures although even if you wanted to see them all, you could well miss some as there are more than 60 sculptures on display at a time and some of them almost hidden meaning you are well rewarded if you are a little curious! 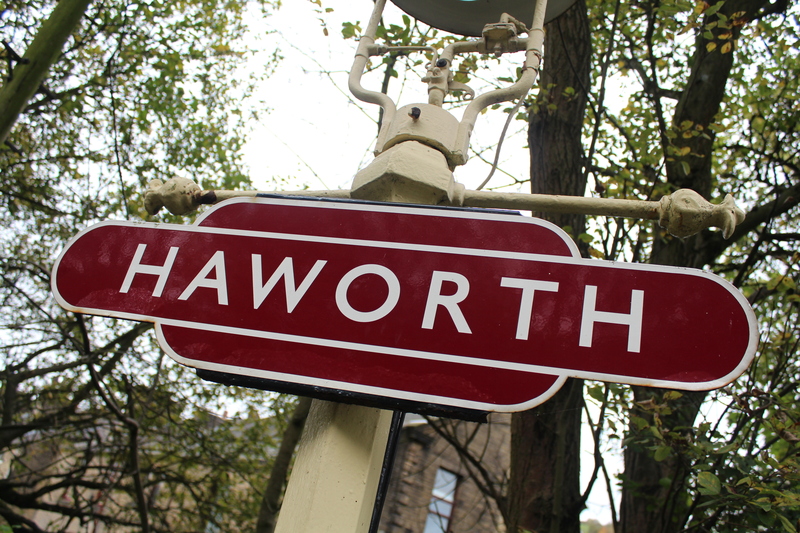 Haworth is the perfect place to stay and less than an hour away from the sculpture park. It has been made famous through the years having appeared in various films and TV shows and most recently welcomed the Tour de France to Main Street. We stayed at The Old Registry which as its name suggests was the old Registry! The old registry office and two residences now make up this delightful B&B. Each of its rooms has a theme and offers a welcoming blend of history and modern comforts. One of its best features is its restaurant which offers exceptional first class dining. You also must try the brown bread ice-cream for dessert. If you fancy a pre-dinner drink, you are spoilt for choice with lots of local pubs on Main Street alone. We visited the Black Bull and were given samples of local beer before choosing what to order. 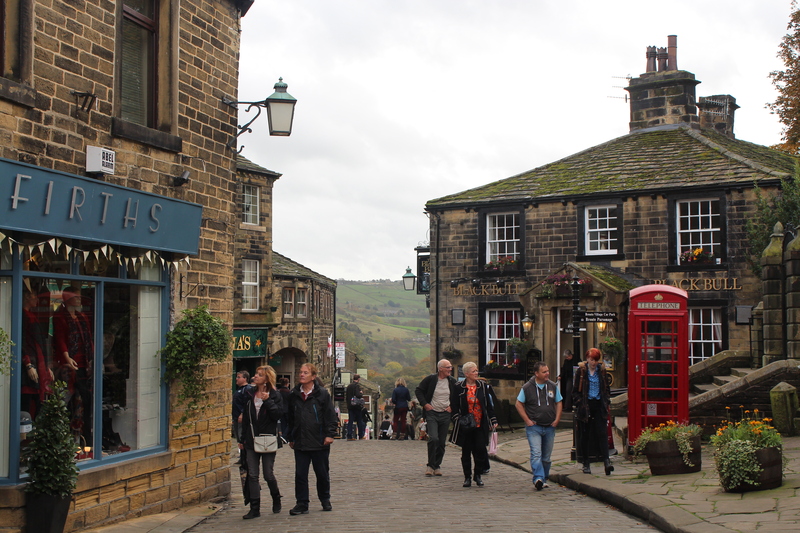 You can easily spend an entire day in Haworth. 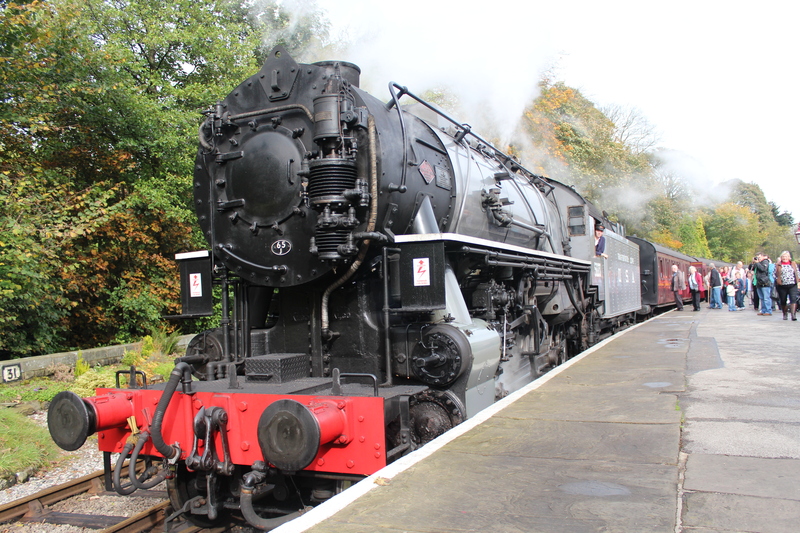 We travelled by steam train (minutes from The Old Registry) from Haworth to Keighley, back through Haworth to Oxenhope and then alighting at Haworth. The journey takes an hour and a half and costs £11 per adult. You can hop on and off at each station and sample the different carriages or if you would prefer to explore the stops in more detail, you can for an additional £4 per adult. Watch out for sooty faces after having stuck your head out of the window! After a morning of steam trains, head back towards the historic Main Street via Central Park. Start at the top taking in the Brontë Parsonage Museum located behind the church of the former Reverend Patrick Brontë (the father of Charlotte, Emily and Ann). Don’t forget the Apothecary …and Chocolate on the way back down. We headed to No.10 The Coffee House not far from The Old Registry for cake and coffee. The owner, Claire, is up until 2am most nights baking for her customers and we can say that it’s worth it. You can choose to have half slices of cake so you can sample a variety of her bakes and the selection of freshly ground coffee and loose tea is very pleasantly surprising. 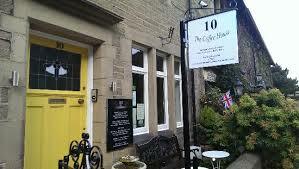 When visiting, we discovered that Haworth also runs 1940s weekends every May. 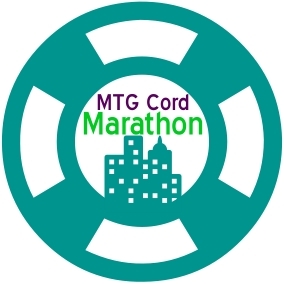 If you plan on attending, you will need to reserve early as accommodation gets booked up quickly. Don’t forget to dress up if you do go and we can recommend Rochester House Gallery for beautifully handmade hats (think Lady Mary!). 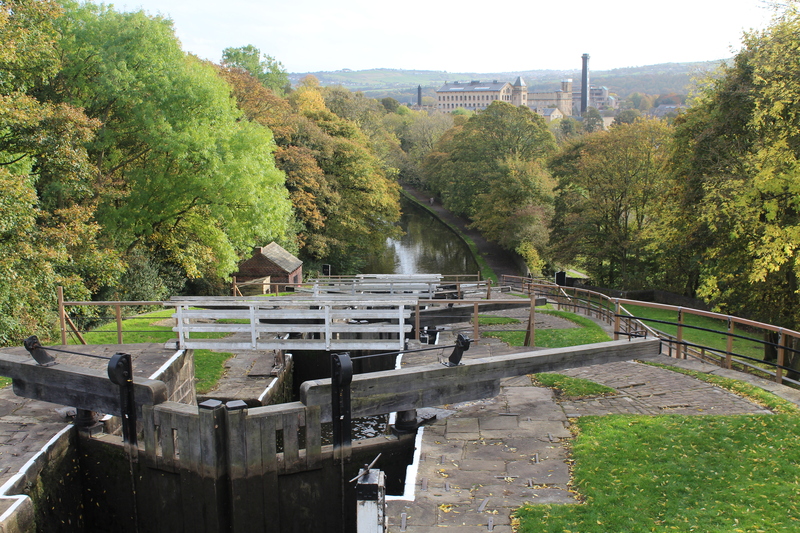 If you have time on the way home, there are many places to stop off including Ilkley, Skipton, the World Heritage site of Saltaire and the 5 rise locks in Bingley, all within close proximity to Haworth.